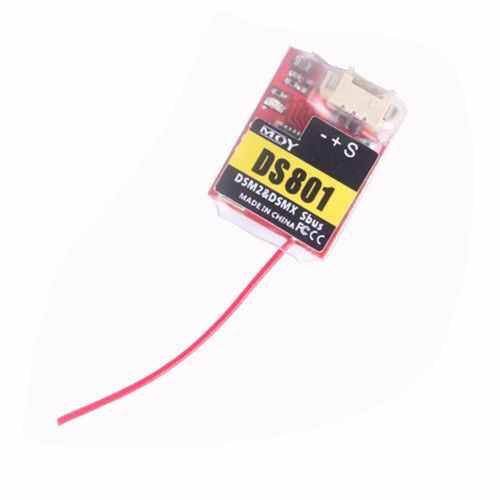 Produktinformationen "DSMX DSM2 Mini Compatible Receiver with SBUS PPM Output"
Compatible with DSM2 DSMX transmitter or modules. * Designed for indoor FPV quadcopter from 80mm-110mm like horizonhobby inductrix. 1. 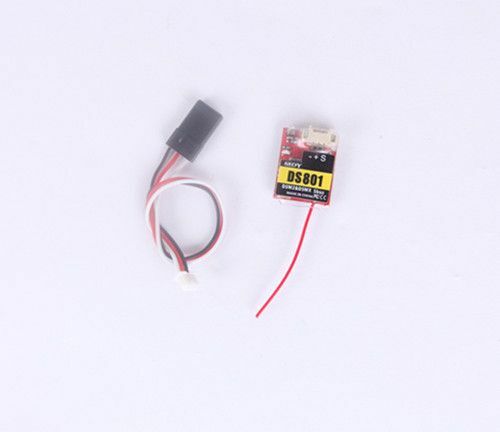 SBUS mode: Turn off your transmitter, power on the receiver, about 6 seconds later, when the LED on the receiver flash rapidly, the receiver is ready for binding, then turn on the transmitter, then enter the binding mode, the led on the receiver will be light on. 2. Convert PPM mode: turn off the transmitter, power up the receiver, wait for 30 seconds, turn on the transmitter, now the receiver is ready for binding, after the receiver is bound to the transmitter, the led on the receiver will flash 1 time each 10 seconds. 1. High-speed LED flashing, means ready for binding. Weiterführende Links zu "DSMX DSM2 Mini Compatible Receiver with SBUS PPM Output"
Kundenbewertungen für "DSMX DSM2 Mini Compatible Receiver with SBUS PPM Output"